Smartphones with chess in the display are old hat … and now phone manufacturers seem to be in a hurry to get the first phone with a hole in the display to the market. Huawei and Vivo are expected to announce smartphones this month with holes in their monitors for the camera in front. And after bothering a similar design last month, it seems that Samsung plans to adopt the gap approach soon. Samsung Galaxy A8S with a camera hole will probably be revealed next week. 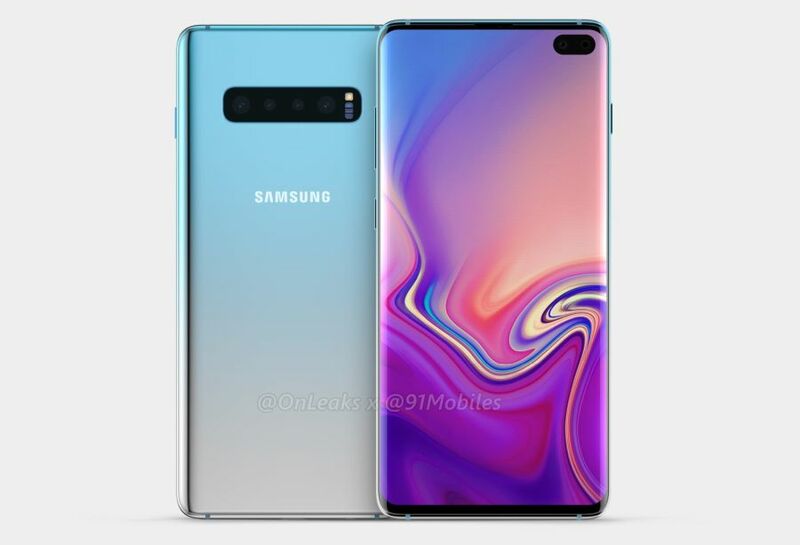 And next year, the camera holes will come to the company's flagship phones: say hello to the Samsung Galaxy S10 Plus (allegedly). A few images stock rounds . Samsung has not officially verified them, so there is a chance that the images may be inaccurate, or Samsung may make any changes before sending the phone. But if you think leaks, there's a phone with a hole in the upper right corner of the display that's big enough to fit two cameras. In fact, the phone seems to have a total of six cameras: two on the front and four at the back. But what looks strange is a screen sniffing around the camera hole. There is really no practical purpose with the small screen on the screen over camera outbreaks. You can not customize status bar notifications to the current room. And any videos, pictures or other objects displayed on the screen will only have a hole cut out of it unless Samsung implements a status bar that extends to the bottom of the hole … If so, why not just stick with a notch or a bezel? Anyway, with more companies working on hole-punch design, it appears that this will be a trend in 2019, for better or worse. I guess if the phones sell well, this design can get stuck and if they do not. it will not. On the bright side, it has been rumored that the Galaxy S10 Plus still wants a headphone jack.